I've been working on figuring out the meaning of life. Since I don't sleep anymore, I have a lot of time to consider hefty topics -- like what makes life good and what makes life not so good. I like to sit at my kitchen counter in the middle of the night and throw back shots of Ayran while sifting through concepts that may considerably alter the fibers of my life. SIDENOTE: Ayran is not alcohol, it's a salty yogurt-like beverage with which I am obsessed. The only drawback to my soul searching is that since I don't sleep anymore, my brain has mostly turned to mush. So my reflections aren't terribly deep. 1) The homeless guy I met yesterday seemed pretty happy. He was carrying a dirty, chewed up piece of Styrofoam close to his chest as if it were the holy grail and I'm mostly sure that it had magical powers. I want one. 2) My friend adopted a parakeet on the bus last week. A strange, drunk guy gave the bird to her in a small box. I think she is kind of a hero because she has given this tiny bird a second chance at life. She named him Kuş. That means "bird" in Turkish. 3) I find food like this in the office almost everyday and I eat it. 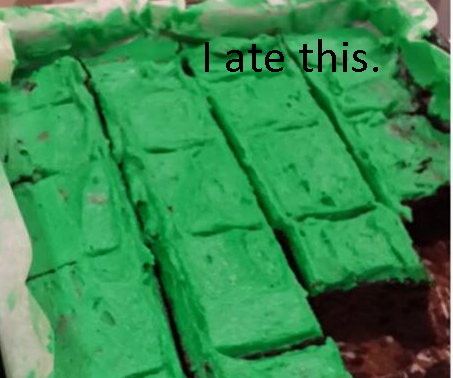 I don't know why I always eat it. But I seem to consistently find a reason. I not only ate this, I ate it RIGHTEOUSLY while viewing River Dance. Pretending I was Irish for a moment made it feel OK.
4) Hypnosis MP3s are addicting! I find that lying in bed and listening to a man talking to my "unconscious mind" is both fascinating and unsettling all at once. The guy that I listen to tries to bully my brain into sleeping, telling is that if it doesn't shut off soon, my body will essentially be destroyed. His methods haven't worked yet (yay me for being resistant to bullying!) --nonetheless, I have purchased hypnosis seshes for "Healthy Relationships", "A Positive Outlook on Life" and "Great Skin." For only $2.99 each, how can I go wrong? 5) I just found out that Tom Cruise has gotten a haircut in Turkey. Anything can happen in this country. ANYTHING. 1) Are my students becoming smarter with my assistance? 2) When will my life resemble that of an adult? 3) How long can I go without coffee? 4) Why does my ear keep bleeding? I'll keep you updated on my epiphanies.